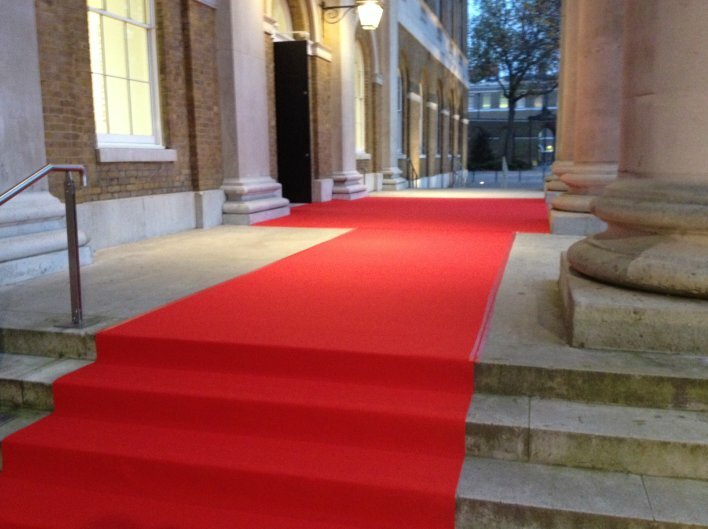 Corporate Events (UK) Ltd is proud to supply the very best the in red carpet hire. 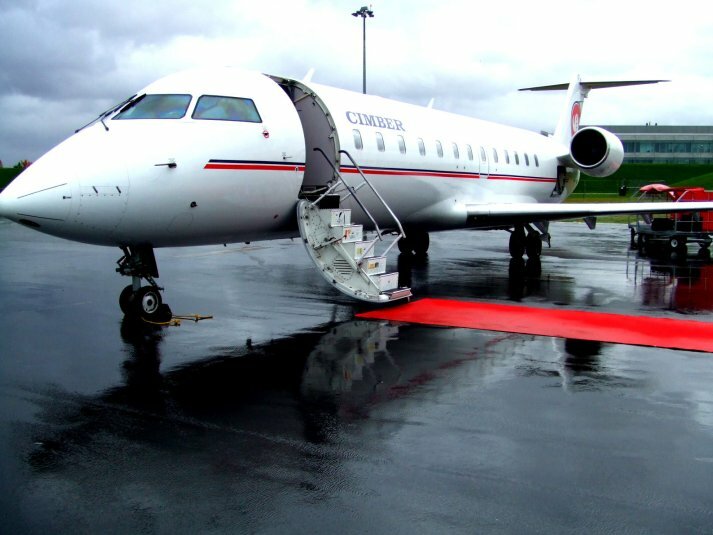 Carpets are available in many different colours including, red, black, white and blue to name just a few. 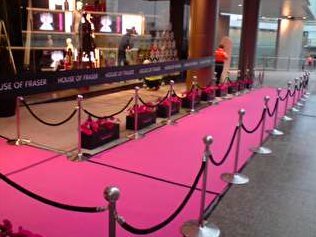 Whatever your event carpet hire requirement Corporate Events UK Ltd is the one stop supplier you need to call from a 2 x 1 metre red carpet, a white carpet walkway, to a whole sports arena being carpeted corporate events uk ltd is able to take care of it. 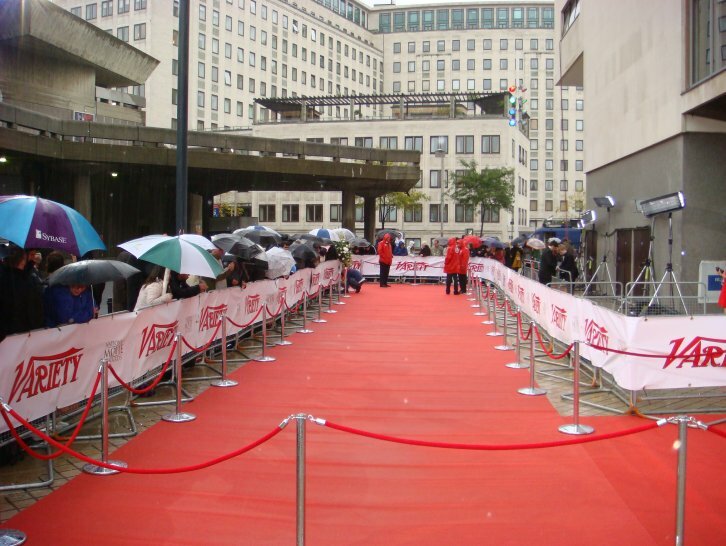 Search llights, Flame Machines and Oscar statues are also available to hire to also improve your red carpet event. 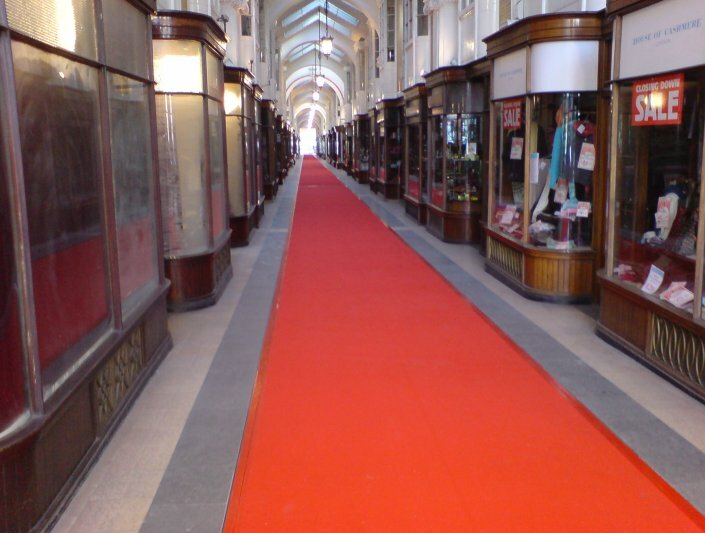 Standard carpet widths are 2m and 4m wide, carpets can be joined or cut to reach your own event carpet size requirements. 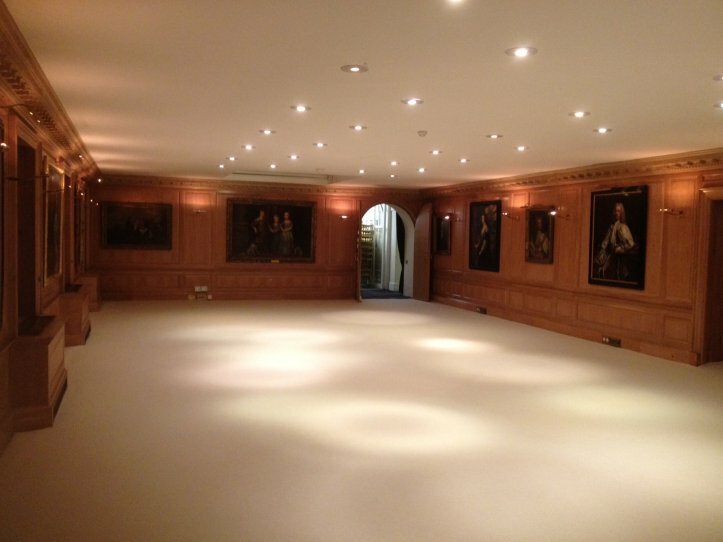 Below is a small selection of our carpet colours ready for hire or sale. 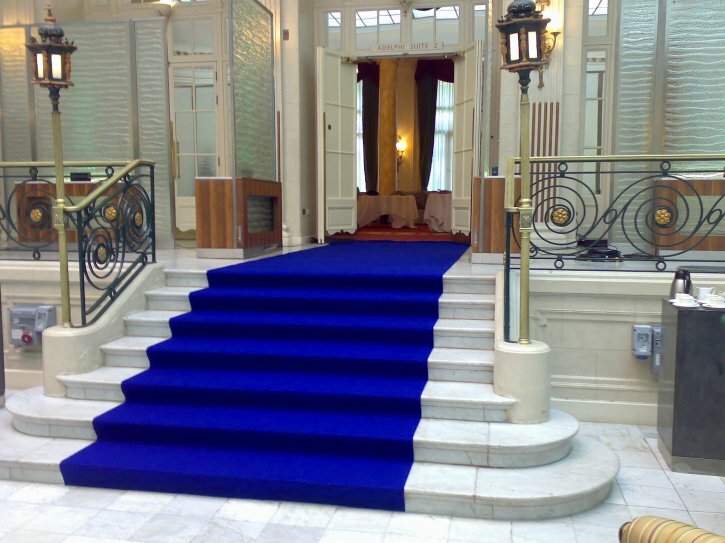 Fully flame retardent, plush pile carpet available in 18 colours. 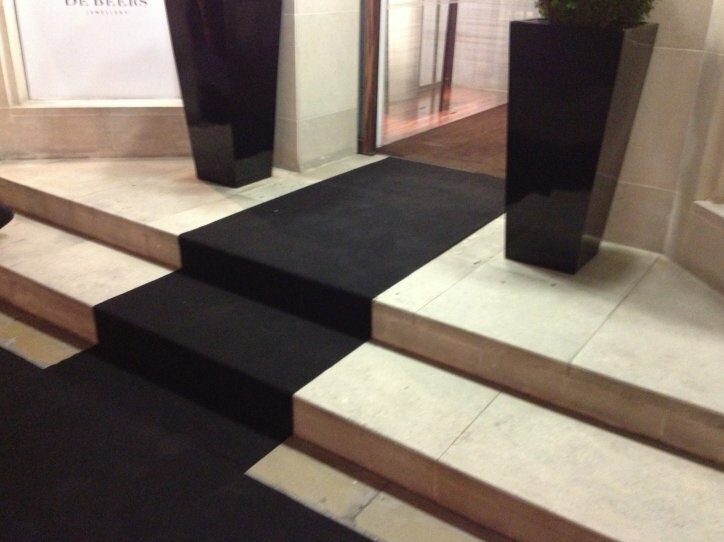 Standard roll size 30m x 2m. 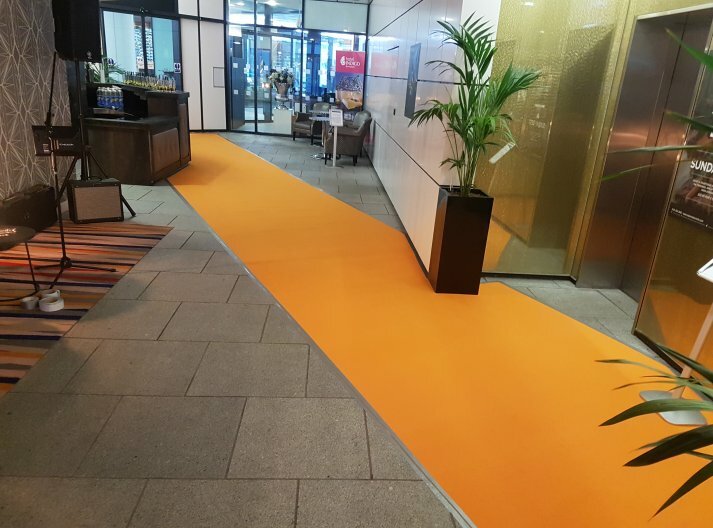 We have also gone green and are now using recyclable carpet to be good to the environment.